I’ve become pretty efficient in five minute segments since having a child. 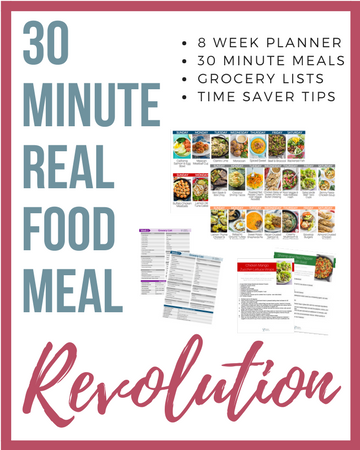 I can now shower in five minutes, I can eat in five minutes, I can even make an appointment with the dog groomer, run out and get the mail, chop veggies for dinner, and do 30 pushups in five minutes (ok maybe 20 pushups). 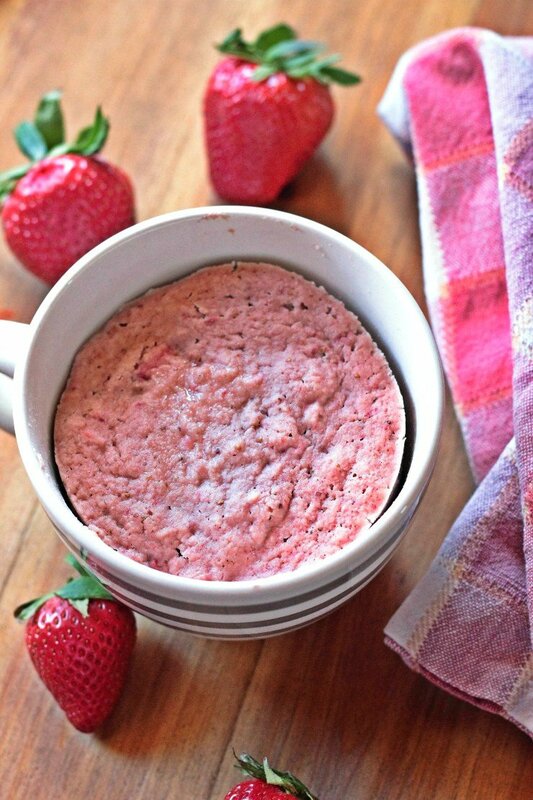 I can also whip up this paleo strawberry mug cake in five minutes. When upcoming summa summa summa tiiiiime has me craving something fresh and fruity, this mug cake is just the ticket. Because sometimes JUST fruit doesn’t hit the spot like light and fluffy cake. CAKE! Remember like 20 years ago when cake was a regular thing? Birthday parties were a weekly rotation, cake doughnuts after church were a given, and you were a childhood hero if you convinced mom and dad to buy those ice cream ones with the crunchy cookie bottom from DQ. Then something changes and suddenly you’re always passing on cake. And it’s sad. But you don’t know it’s actually sad until you reflect on it like this, and then you get kinda depressed about it. And suddenly you just REALLY want some cake again. Don’t fret my friend. That’s why the mug cake was created. There are A LOT of mug cake recipes out there (if you haven’t noticed). I swear I see a new one on Pinterest every day. 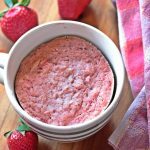 THIS paleo strawberry mug cake though – it’s soooo ‘healthy-loving, portioned-controlled’ adult and ‘fun and fruity, cake-addicted’ kid all in one. The best part is it takes five minutes to make. And although I do tote my amazingly efficient time management skills, I will admit I could never make a ‘normal’ strawberry cake in five minutes. 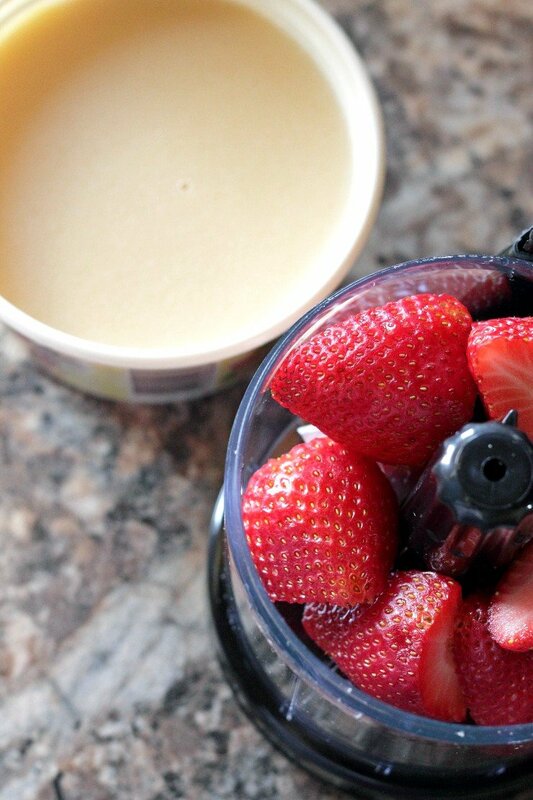 Simply puree the strawberries in a small food processor, add the honey and coconut oil, then pour the mixture into a mug and stir in one large egg. Next, add the dry ingredients, mix well to combine, then microwave for three minutes. Finally, watch the amazing batter rise and bake then feel free to shove your face with a light, strawberry, paleo mug cake that’s totally worth five minutes of your time. Let it cool FULLY or else you’ll burn your little tongue off – this mug cake will be hot. It might be the most tortured five-ish (or more) minutes ever, but I promise the wait is worth it! Not even joking, last year, freshman year in my dorm…I LIVED on mug cakes! Haha! Well they are like the perfect late night study food, right?! Makes total sense! Thanks to… I don’t even know what 🙂 my child is finally realizing on the weekends she can get up, make make her own breakfast and not wake me. I can easily and happily get her organized for it the night before. I will SO be trying this. I llovvveeee coconut flour mug cakes but have yet to do a strawberry version. You are amazing. I love all things strawberry so I’m sure I’d like this. I’m sure you would too Amber. Strawberries and cake = perfection. Love these single serving mug recipes. Plus strawberries are coming on. Me too. Especially for desserts. Soon strawberries will be EVERYWHERE! Thanks Candy! Enjoy Klauss! I hope they ask for seconds! I’ve never tried a mug cake before, but this looks too good I may just need to! Often I have cake cravings but don’t want to make an entire batch…that’s why mug cakes were invented I guess, right? 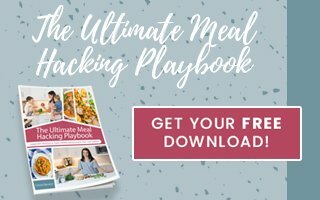 Love that this is paleo too! Ah, if only I had a microwave! I wonder if I could just bake these ingredients instead? Of course, it would take longer…it just looks so delicious! Hmmmm that’s a really good question. I bet you could absolutely bake it. I would shoot for 350 for 30 minutes and see how that goes. Keep me posted if you try it Kamara! This looks delicious! I love that it is paleo! My husband is a huge fan of Strawberry cake, so I will have to make this for him! When I have all the ingredients= :D! I need more strawberry cake in my life. Good call Kate. Yes, chocolate and vanilla cake are both good, but more strawberry cake is needed in life! Mug cakes = cryptinite. Pinned and ready to make this weekend with some paleo coconut whip cream! This looks wonderful!! I usually make chocolate mug cake, but every now and then get a strawberry craving. 🙂 I am saving this for the next time I do. Mmmm I love me some chocolate mug cake too. I don’t discriminate when it comes to mug cakes, let’s just be honest. Thanks Jessica! YUM! I’m a bit obsessed with mug cakes, only because I love baking and when I do, I end up eating like 10 cupcakes plus batter instead of just one. Just pinned this! Thanks! BAHAHAHAHA Chelsea I love you. Self control is SO HARD when it comes to baked goods for me too. Single serve is where it’s at. Thanks for the pin love! YES DO! I hope you love it Allison! Yum! I haven’t worked much with coconut flour. I’m going to have to pin this for later. It’s definitely different than wheat flour, but it’s my flour of choice for baking since I cut out gluten. Thanks Maggie! That does look Yummy! and better for you too! So yummy and a much healthier alternative! Thanks Elaine! This sounds amazing! What a healthy treat! Thanks Leah. Healthy and nummy – just how I like it! Yum! Gotta love a good single serving mug cake! Quick, simple and I bet it’s really yummy. My children would love a treat so I think this is perfect. Totally perfect! For adults and children. Enjoy Trish! 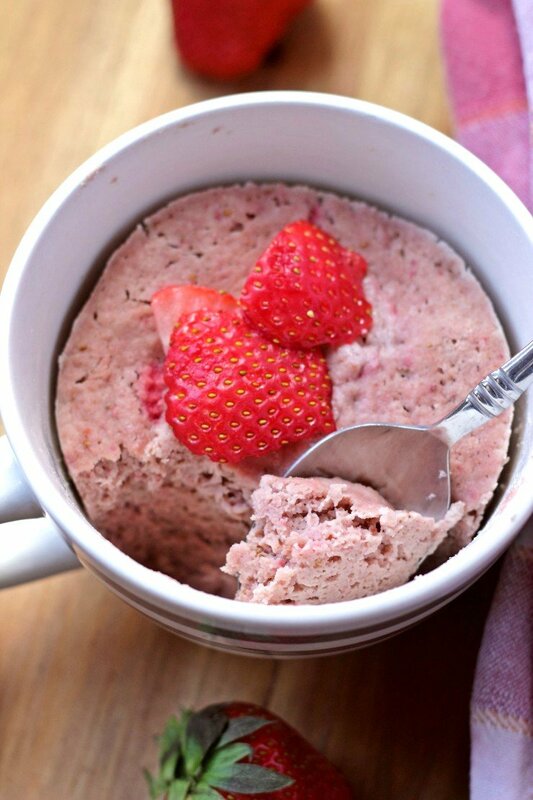 Great Strawberry mug cake! I’m a lover of all mug cakes and I can’t wait to try this one! Thank you for sharing!! I hope you love this Ashleigh. Mug cakes are the BEST! This looks so good – my husband loves anything strawberry – he would truly love this! And looks simple enough to make! I hope he takes you on an awesome date for making this strawberry cake just for him Clare! wow thank you. I must say, I agree with you on the sad reality of the cake situation for adults. Cant wait to try this out. I may or may not also add in some dark chocolate chips so its like a chocolate covered strawberry type feel. Right?! Why does adulthood mean no more yummy cake. It’s a shame! And I love you even more for adding chocolate chips. Yes yes and yes. Period. Mug cakes are THE best, and this one looks absolutely delicious! The best, for realz. Thanks Suzanne! Chrissa this looks so good. 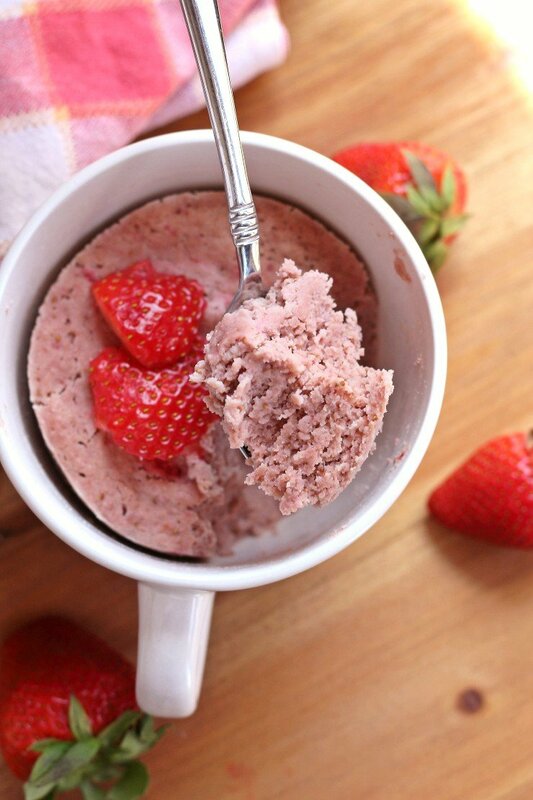 I love making mug cakes but haven’t tried strawberry. It is sad (and hard!) to pass up cake! I love this recipe for a little bit of healthier cake love! Strawberries! Loving them now! Sooo hard! I never pass up cake on special occasions, to be honest. Life is too short! But sometimes when you need a sweet treat for no special reason, this is perfect. Thanks Patricia. Going to try this, it looks so good! I hope you love it Tamara! Yum! I love mug cakes. So easy and so god! Gotta love easy treats!! Thanks Heather. is there a different flour&oil I can use while still keeping it delicious? You could absolutely sub for regular wheat flour. You may only need 2 tablespoons (or less) for the batter. As for the oil, you could try omitting completely or a traditional baking oil like canola. Let me know how it turns out Samantha! Oh wow. definitely need to try this! I hope you do Cassandra!! Hmmm I haven’t tried with almond flour but I don’t see why not! I’d use a tad less if subbing with almond flour.